The final live US presidential debate is to be given extra spice after Donald Trump invited Barack Obama's half-brother along to the event. As a Trump supporter, Malik Obama has already told US media the tycoon "can make America great again". 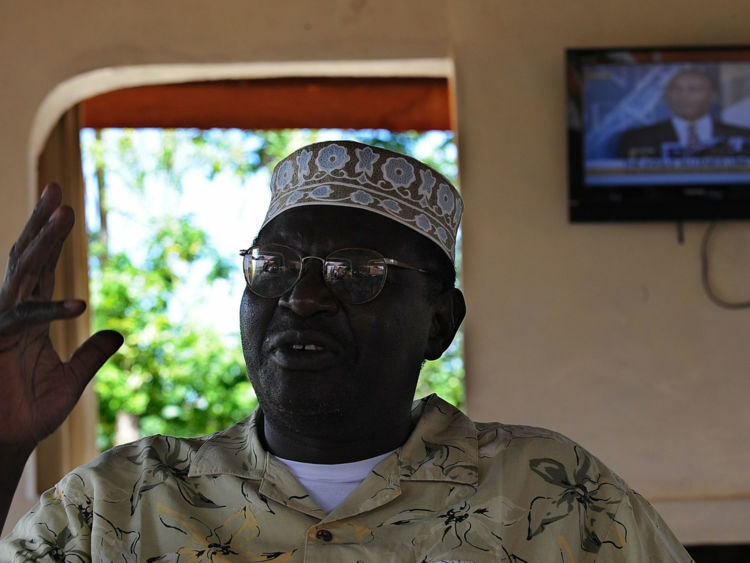 And in an interview with the New York Post, Malik Obama, who splits his time between Kenya and the US, said he is "excited to be at the debate". Mr Trump told the paper that Malik "gets it far better than his brother". The previous live events were vitriolic affairs - and the upcoming clash at the University of Nevada is likely to be just as tense. Current polls put Mrs Clinton ahead, leaving the billionaire businessman with a tough battle to win over undecided voters. Ahead of the debate, Mr Trump has faced claims of sexual misconduct from a number of women, including a former contestant on the US version of The Apprentice. He has denied the claims, saying they are "outright lies" and his wife, Melania, has defended him in an interview where she accused the claimants of being attention seekers making "damaging and unfair" accusations. Mr Trump has also claimed the 8 November election will be rigged in favour of Mrs Clinton, saying: "The election is being rigged by corrupt media pushing completely false allegations and outright lies in an effort to elect her president." This prompted Mr Obama to tell the Republican to "stop whining". "If you start whining before the game's even over; if whenever things are going badly for you and you lose, you start blaming somebody else, then you don't have what it takes to be in this job," he said. Mrs Clinton's campaign has also been hit by controversy over her use of her private email while Secretary of State, which Mr Trump has branded a scandal "worse than Watergate". The 90-minute debate will be hosted by Fox News' Chris Wallace and will cover six topics - debt and entitlements, immigration, economy, the Supreme Court, foreign hotspots and fitness to be president.